Plymouth University’s Faculty of Business has become a patron of Devon Chamber of Commerce, enhancing links between the University and its students and the county’s business community. The Faculty of Business is the eleventh patron of the Chamber alongside the Duke of Cornwall Hotel, the National Marine Aquarium, City College Plymouth, Santander and others, demonstrating its commitment to the development of Devon’s economy. As a patron, the Faculty of Business’ Careers & Employability Team will receive support from the Chamber in engaging with the wider business community. This will include visits for students to member companies, sourcing Chamber representatives or business people as guest speakers for lectures, and arranging attendance of Chamber member businesses to careers events for students. The Faculty of Business – covering courses including business and management, economics, politics, and tourism and hospitality – aims to provide its students with outstanding experiences that enhance their future employability. Its teaching approach is research led and designed to equip students with discipline specific and transferable skills, enabling them to be fully prepared for a successful career and to become valued members of the University’s thriving alumni community. 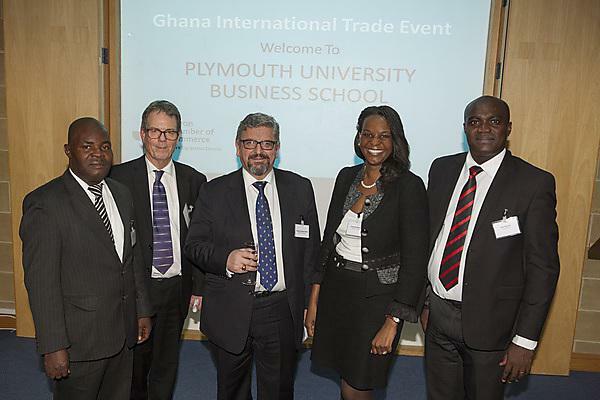 The Faculty of Business recently supported Devon Chamber of Commerce in the welcoming of a delegation from Ghana to Plymouth, hosting an International Trade event and dinner in their honour.